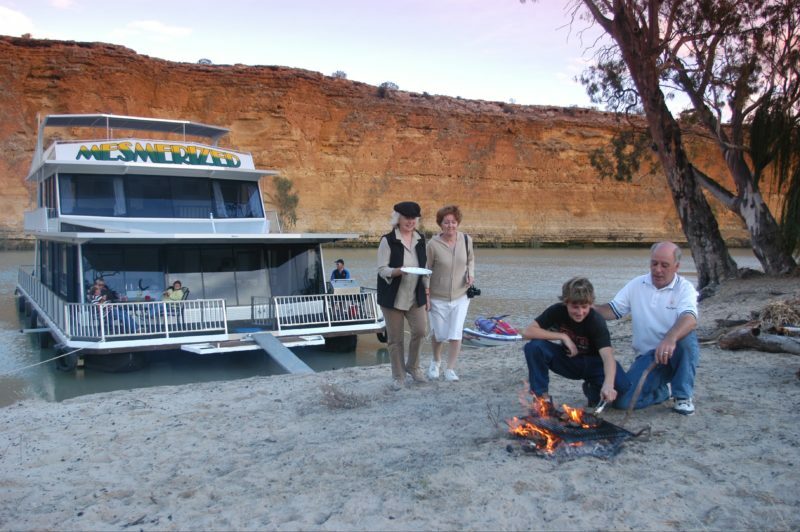 Mesmerized is a three level, 12 berth houseboat offering ample space for hirers to relax. Two lounges and three separate rear deck areas give you plenty of room to spread out. 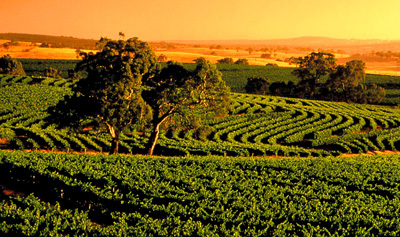 The large panoramic windows ensure that you also enjoy your scenic environment. Mesmerized has six bedrooms and three bathrooms. Each bedroom has ducted air conditioning, ensuite access to a bathroom as well as external sliding doors. For you added enjoyment there is an undercover seven person jacuzzi, large television upstairs and downstairs and a quiet generator. 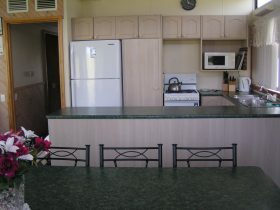 Dishwasher, DVD player, spa on deck, insect screens, some stairs, bath/tea towels supplied, dinghy available for hire. Come and enjoy the river and be mesmerized. 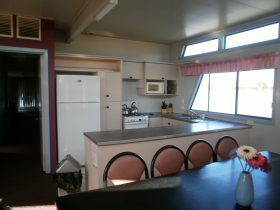 Six bedroom houseboat with four double beds, two queen size zip apart beds and three bathrooms.